I certainly can’t vouch for the Lulu song with its face-value metaphors (so not a metaphor at all?). Thus it’s a pleasure to replace that track with the originally commissioned Alice Cooper cut that got axed in favor of Lulu. I don’t really think it works as a Bond song but it’s still better than Lulu and in my mind fits the gonzo nature of The Man with the Golden Gun better. The Man with the Golden Gun is an outlier in the Bond series. Bizarre. Off the wall. Third nippled. 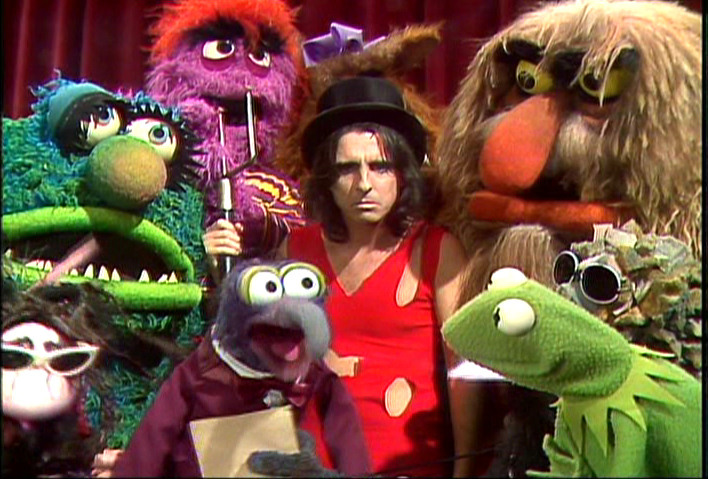 So why not Alice Cooper? Here’s The Man with the Golden Gun Remixed by @theactualkeith. The Man With The Golden Gun – Alice Cooper Opening from But You’re Wrong Podcast on Vimeo.